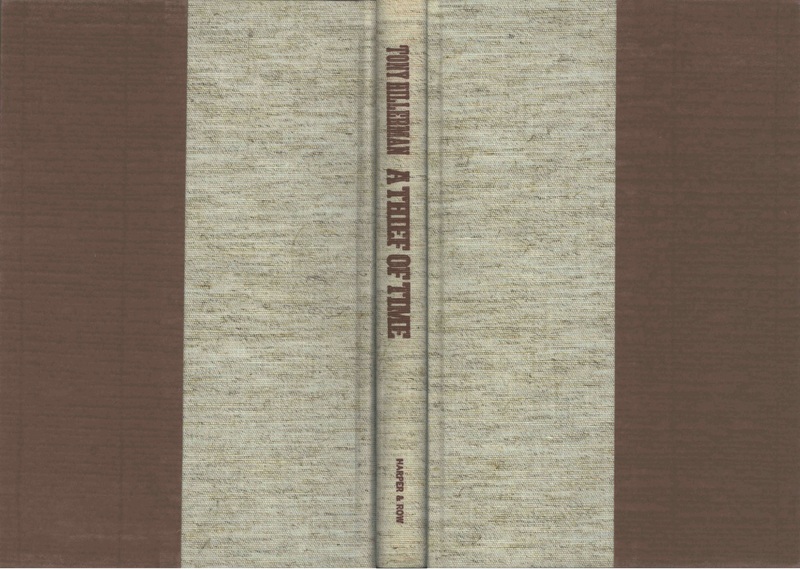 This is the full and detailed views of the limited first edition slip case and book cover for A Thief of Time, the eighth book in Tony Hillerman's Navajo Mystery Series. 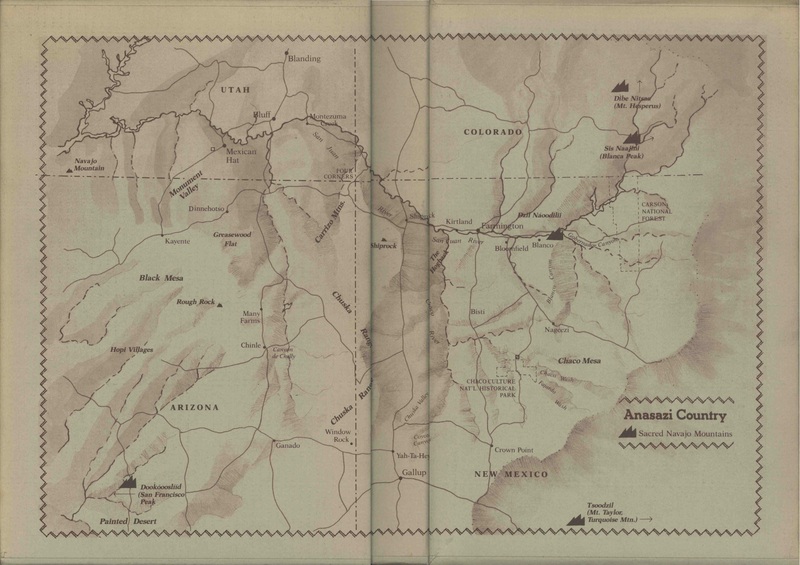 The slipcase was designed by Peter Thorpe and pictures a map of "Anasazi Country" and the "Sacred Navajo Mountains". The book cover consists of medium reddish brown boards with molted light tan cloth spine. The author, title, and publisher are printed vertically in red on the spine. Design and Photography Credits: the slipcase design is by Ruth Bornschlegel and the endpaper map is by David Lindroth.